The Ambassadors of Harmony perform Three Dog Night's "Joy to the World" in June 2017 during "A CAPPELLA LIVE!" at the Touhill Performing Arts Center. In the a cappella world, singers are on a constant quest for the unmistakable “wall of sound,” formed only when voices lock chords in perfect harmony. 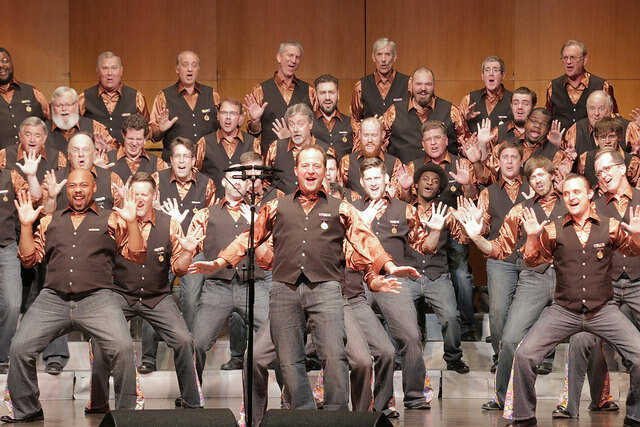 On June 16, the four-time international champion men’s chorus, the Ambassadors of Harmony, will combine more than 120 voices to share a signature blend of energy, artistry and passion to create a spine-tingling wall of sound like no other. A CAPPELLA LIVE! is your chance to catch the Ambassadors' powerful performance on their home stage at the Touhill Performing Arts Center on the University of Missouri-St. Louis campus. The Ambassadors will be joined by the 2017 Sweet Adelines silver medalist quartet, Windsor, and the 1993 Barbershop Harmony Society champs, Gas House Gang.